Continuing our excavation into the Benny archive with the release of classic Bernice Summerfield books in audiobook format, the second of our Bernice Summerfield audiobooks is out now. 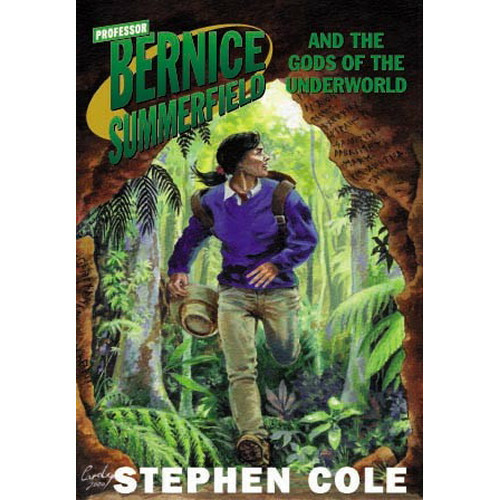 Bernice Summerfield and the Gods of the Underworld written by Stephen Cole and narrated by Benny actor herself, Lisa Bowerman has been released today. Professor Bernice Summerfield and the Gods of Underworld is available now at £9.99 on download. The first release in this new audiobook range, Professor Bernice Summerfield and the Doomsday Manuscript by Justin Richards, and is also available now at the price of £9.99 on download. Three further audiobooks – which will be released in October 2019, then January and March 2020 – can be pre-ordered at £9.99 each. Or why not save money and purchase all five audiobooks together (available to download on the day of release) in a bundle for the bargain price of just £40. The paperback version of Bernice Summerfield and the Gods of the Underworld (released in February 2001) is also available from Big Finish at just £2.99 – while stocks last.